On this page, store admins can set up the shipping methods that they're going to offer to their customers. If you ran the install script that comes with the software to install demo product data, the store comes preloaded with 4 methods, but they can be edited/deleted as needed. 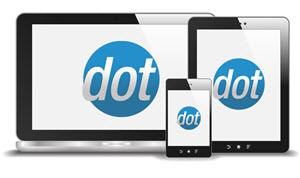 NOTE: Real time rates and the fixed rates set up here cannot be mixed - your store can offer live rates from one or more of the major shipping carriers, or the custom rates you set up, not both. To create a new shipping method, click the 'Add New Shipping Method' button and give your method a name, as shown below. After the method is created, you can use the 'Set Allowed States' with 'Set Allowed Countries,' OR 'Set Allowed Zones' buttons to configure where the new shipping method will be valid. 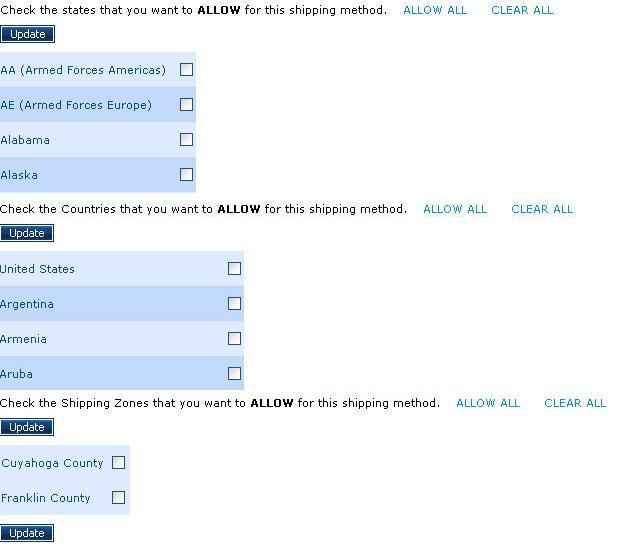 This step only has to be done if you want to restrict certain shipping methods to certain areas, however if you ARE going to do this, be sure that every method has at least one valid state/country combination (or Zone for zone based shipping calculation methods) or it will not show up to any customers. For example, a shipping method that allows Florida but not United States will never appear. If none of your methods are configured for the address a customer registers with, they will be unable to complete checkout, so be sure to create methods for all regions you want to accept orders from. If your store is configured to offer real time rates (or ever has been), you will see a section similar to what is pictured below on the Shipping Methods page. This is simply a list of all of the services that the shipping carriers have returned for your various customers in the past. There should never be any reason to delete these methods.